On the last day of the year or studies, on 12 June at Adazi Free Waldorf School construction workers of UPB Nams, as well as students and teachers solemnly opened construction works of the new school’s outbuilding and sports hall. Students had prepared their wishes to the school by decorating the construction site fence with their drawings. 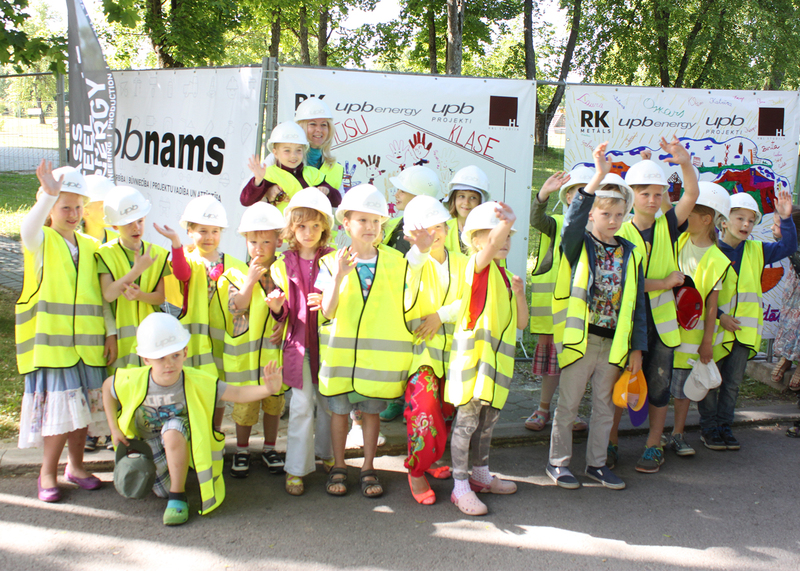 “Thanks to Waldorf School for the dedication and to the students for unambiguously the most beautiful construction site fence in Latvia! We will do the best we can so that the new buildings would keep the pace with creativeness of the children of Waldorf School!” says Karlis Balgalvis, Chairman of the Board of UPB Nams. Additional learning block in two floors with the total area 500 m2 will be constructed within the expansion purposes of Adazi Free Waldorf School. Housing of 4 classes with 23 students on average in each of them is planned. Teachers’ room and auxiliary premises are also planned in the new building. In the territory of school a new 1085 m2 sports hall will be built, which was designed as a high energy efficiency building. Basketball and volleyball fields with the necessary equipment and floor painting will be established in the sports hall, as well as 4 dressing rooms and additional premises. Layout of the buildings was designed according to Waldorf philosophy – without standardized solutions and with free shapes of premises. 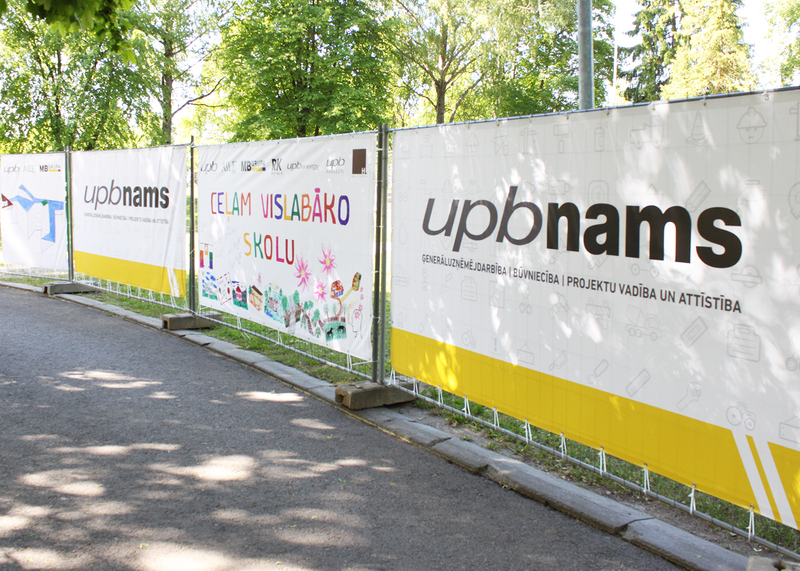 Construction works in Adazi Free Waldorf School are delegated to the UPB Nams.